The SR-4 and RM-6 are both fully supported current products, at one point We were designing replacements, but realised that then we would have to support both old and new. We decided to concentrate on supporting the current SR-4 and RM-6. For example they are both now supplied with bi-level and tri-level video sync inputs. The upgrade kit for this is available so that even the oldest of units can be modified. The SR-4 and hence the RM-6 were designed in the days when EPROMS ruled, all our current products have field programable software and some even have field programable hardware! We finally worked out how add this feature to the SR-4 and RM-6. 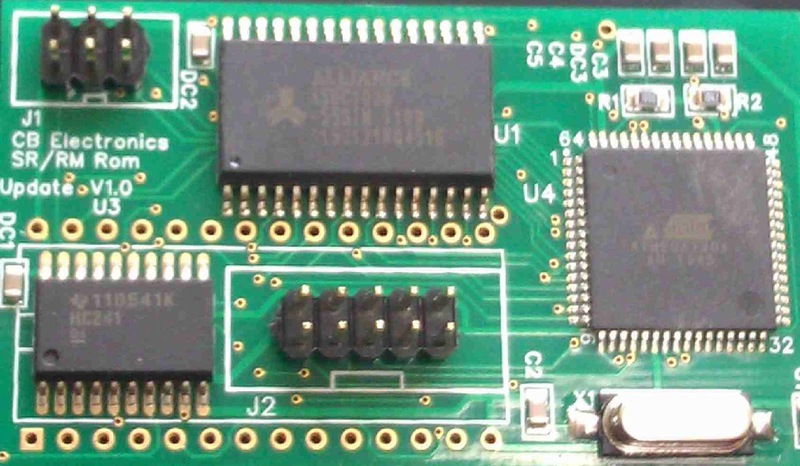 The new add on board plugs in in place of the EPROM and holds two versions of the software, the programming software (Available for both MAC and Windows) to reprogram one at any time. The user can then select which version to use, in this way even if the new version is corrupted there is always a working version available. An upgrade kit is available and all future units will be shipped with the modification.